Frances Lincoln Children's Books, 9781786037558, 32pp. 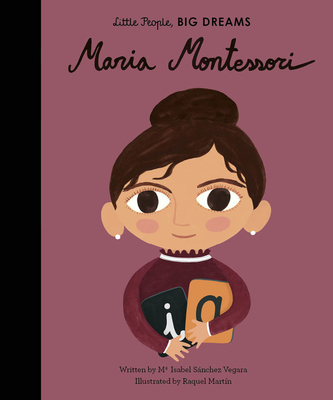 Maria grew up in Italy at a time when girls didn't receive an equal education to boys. But Maria's mother was supportive of her dreams, and Maria went on to study medicine. She later became an early childhood expert—founding schools with her revolutionary educational theories and changing the lives of many children. This moving book features stylish and quirky illustrations and extra facts at the back, including a biographical timeline with historical photos and a detailed profile of the educator's life.